There’s something so wonderful about an unexpected color combo. Navy seems at the pinpoint of all of these – navy + black, navy + green and finally navy + mustard. 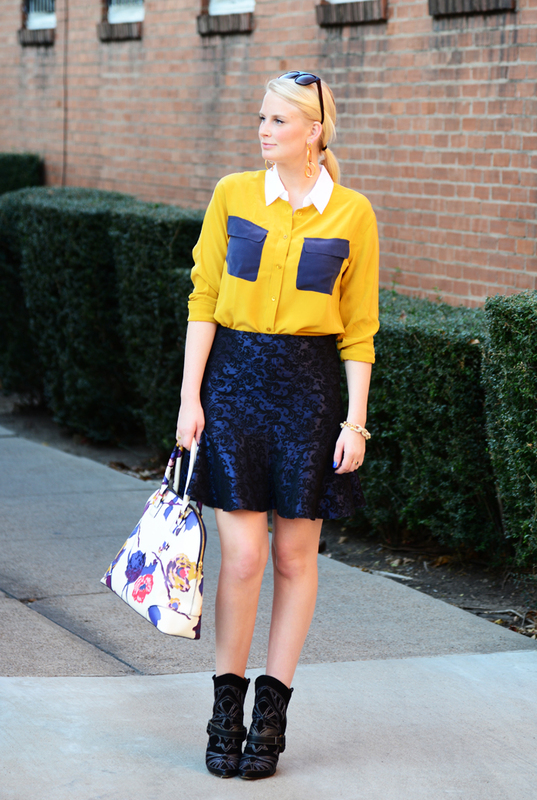 Mustard is such a strong color, however it’s a perfect complement to a rich navy. 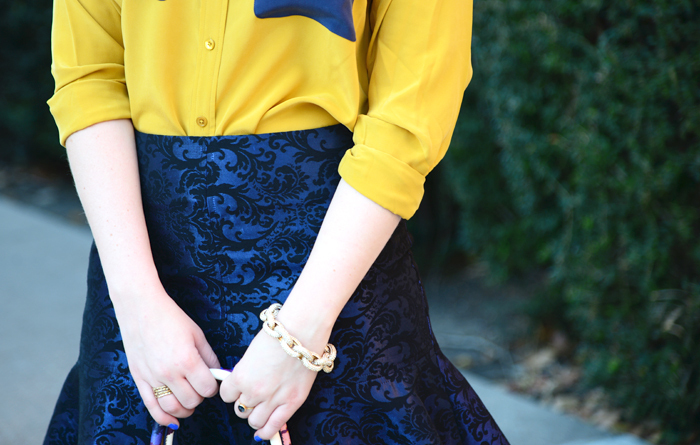 This contrasting combo is genius for fall! Perfect pattern mixing! Love that top! This is an insane color combo, Merritt. So good. 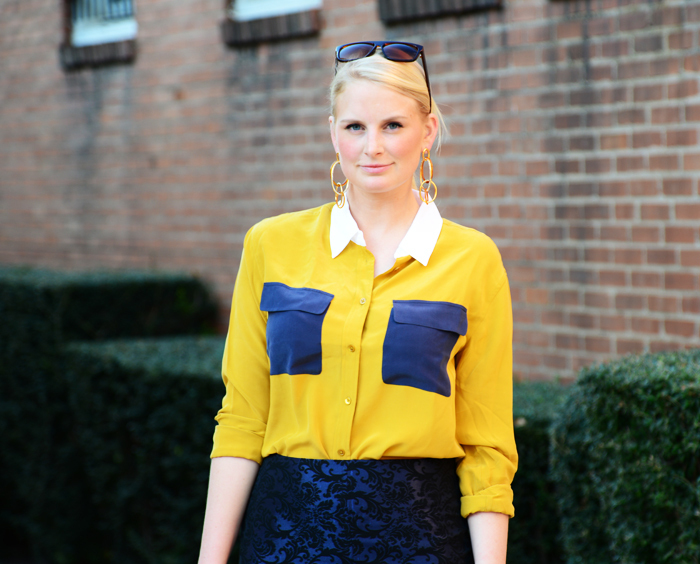 I love this color combination – I bet your top would look fabulous with jeans as well! So obsessed with that Tory Burch bag! Love how you paired it here! so cute. love the skirt.